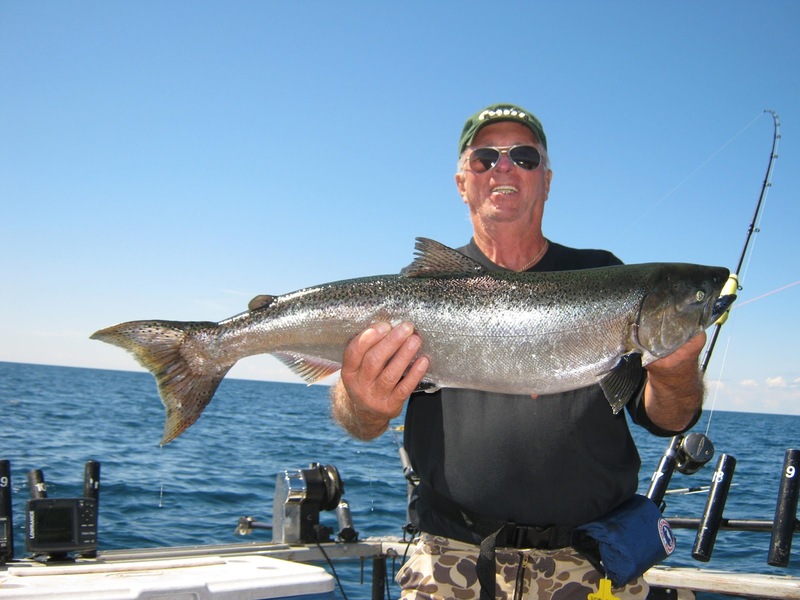 There are five species of salmon and trout in Lake Michigan. 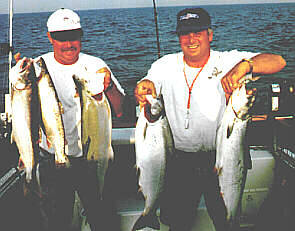 They are coho and king salmon, brown trout and steelhead trout and Lake Michigan’s native trout, the lake trout. Catching all five in a given period of time is called getting the Grand Slam. Indiana’s Salmon Unlimited club used to hand out patches to anglers who caught one of each species during a whole season. Occasionally, a lucky group of anglers get a Grand Slam on the same boat in one day. I’ve never heard of one individual catching all five species in one day but it’s probably happened, sometime, somewhere. On the Brother Nature I’ve had numerous “mini-slams” catching four of the five species on one outing but only once has the crew on the “Bro” produced a fully fledged Grand Slam on one day. While was looking back to my fishing trips in the first half of September, I realized I’d achieved a September Slam! On Labor Day, my fishermen’s catch included a coho salmon, king salmon and a lake trout. The king was where it was supposed to be, just off the mouth of the river. Given the time of year, that’s not where the coho and laker should have been found. This highlights the fact you never know what could bite next anytime, anyplace. Several days later, in addition to the kings (which are the target species in September) caught on the Brother Nature, the second fish of the day was a brown trout! And not just any brown trout, but a fourteen pound brown, easily among the five top largest browns on my boat, ever. 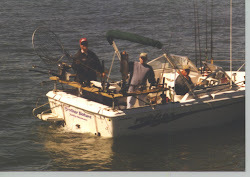 Yesterday, just as the sun was brightening the morning sky one of the rods came alive and eighty-four year old, birthday boy, Stan Jones, eventually subdued a spunky steelhead hooked in only twelve feet of water. It dawned on me that made all five species caught in just a couple of late summer weeks. The September Slam!